It’s been a tough few months for Facebook. Following a major scandal over their sale of users’ personal information, Facebook has been put through the paces over its privacy policies—and ultimately, Mark Zuckerberg himself was hauled in to Congress to offer testimony. As a result, many individuals have pledged their commitment to deleting Facebook from their phones or terminating their accounts altogether. It’s enough to raise the question: Is Facebook still a smart place to spend advertising dollars? 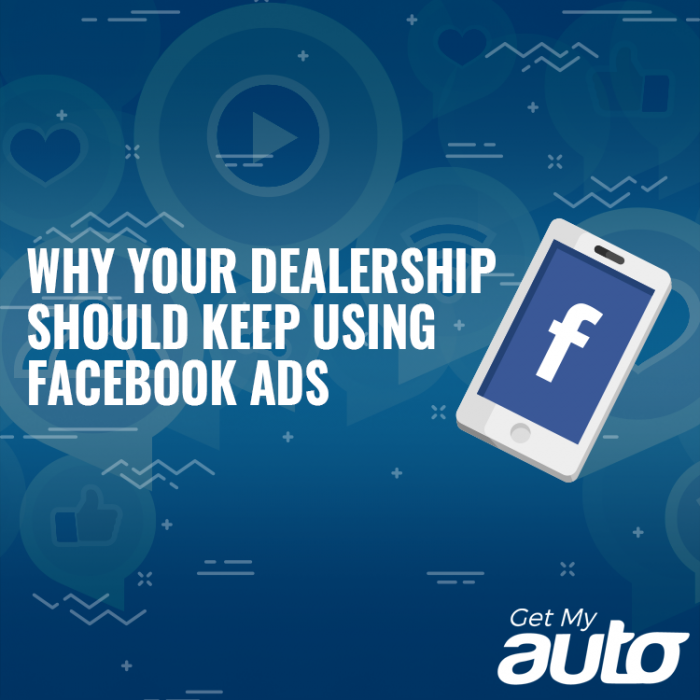 At Get My Auto, we have long maintained that Facebook Ads is one of the truly essential platforms for marketing used car dealerships—and we believe that it remains so. Despite some bad publicity and a slight downturn in the total user base, Facebook remains the best venue for reaching a lot of people at once. Facebook offers incredible microtargeting options. Advertisers can use Facebook’s robust data and its innumerable targeting options to filter and hone their audience—ensuring that they are only displaying their ads to the right people. Dealerships can refine their audience by geography, by income, by age group, by hobbies and interests, and even by previous automotive purchases. In short, you can ensure that your used car dealership ads are never wasted. Facebook influences purchasing decisions. Another important aspect of Facebook is that, according to study after study and survey after survey, it has a big impact on consumers’ purchasing decisions. No other social network even comes close. The concept of social proof—i.e. seeing that your friends or family like a certain dealership—is especially powerful. When combined with microtargeting, it empowers your dealership to create some truly effective ads. Facebook Ads works well within a broader marketing framework. A final note is that Facebook’s ad platform provides enough flexibility and enough precision that you can easily integrate it with your other marketing endeavors—including organic Facebook reach—to accomplish a very particular set of marketing goals. That versatility is something that other social networks can’t provide. Nobody will deny that Facebook’s lost some of its luster, and there is certainly reason for the platform’s investors to be anxious. 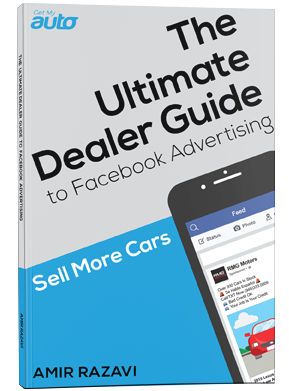 As for advertisers, though—and used car dealerships in particular—Facebook remains an essential tool. We’d love to help you set a Facebook Ads strategy in place, and to advise on how Facebook works within the broader context of your dealership marketing. Reach out to Get My Auto to have that conversation today.